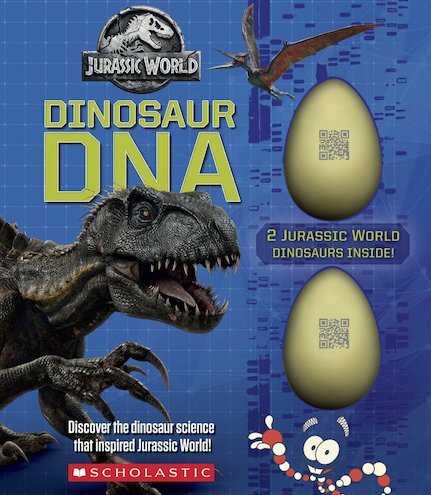 A thrilling non-fiction companion to the Jurassic World film franchise with two crackable dino eggs! Includes a full-length non-fiction book illustrated with heart-racing film stills and two eggs to crack open with collectable dinosaur babies inside! At Jurassic World, scientists miraculously brought long-extinct dinosaurs to back to life as well as created brand-new hybrids the world had never seen before. In this non-fiction companion to Jurassic World and Jurassic World: The Fallen Kingdom, readers will discover the real science behind Jurassic World’s most memorable dinosaurs including T. rex, Velociraptor and Indominus rex; what DNA is and how genetic modifications are used today; all about dinosaur eggs and babies; and more.